The Gospel stories surrounding the birth and infancy of Jesus all depict the fragility of the little family and the ever looming threat of violence and displacement surrounding them. Over and over, throughout the New Testament, we see God’s absolute solidarity with the marginalized, the impoverished, the sick, and in this reading: the wandering refugee. Jesus expresses this solidarity with the outsider by becoming one. God seems to prefer to be God in exile. When we experience our own sense of exile for whatever reason, we look to God to take us out of it. However, God’s pattern often is to have us find home within it, making community with our fellow expatriates. In many sectors of American, popular Christianity, there is an overt and brazen contempt for the “stranger.” It’s often dressed in patriotic clothes, but beneath the thin layer, it’s really just xenophobia and ugly racism. 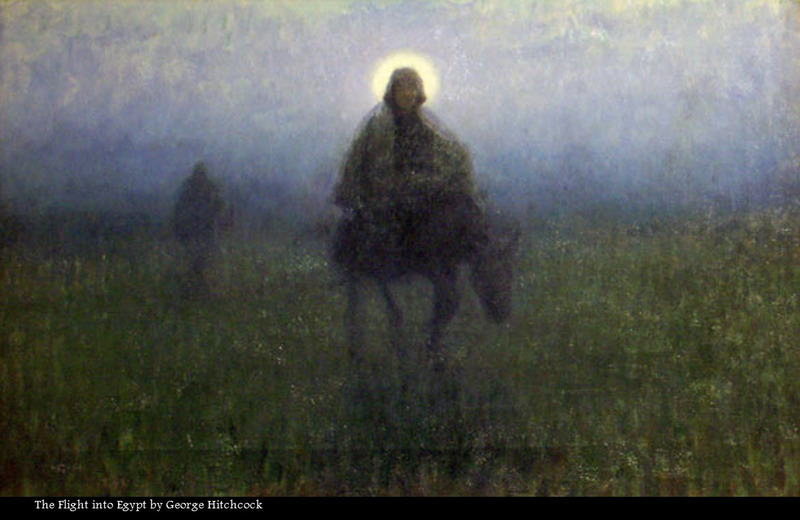 The irony is that Jesus, in the circumstances of his birth, completely takes on the identity of the “stranger” and becomes a wanderer under the grinding heel of empire. He remains in this attitude throughout his earthly life and is crucified as a criminal who crossed the empire. Even in his risen life, he makes no attempt to gain political power over Rome. Rather, his life subverts the powerful by creating community with his identification with those who don’t belong in the larger group. This heart is manifested in the heart of the Holy Spirit today. The Spirit’s movement always moves outwardly to surround those who have been marginalized by the majority—even (and perhaps especially) in the church itself. When the Spirit encompasses refugees of all sorts, community is created where it didn’t exist before, and the “outsiders” become “insiders;” but not in the same privileged way of the crowd. Whenever Jesus’ disciples claimed “privilege of the insider,” they found themselves on the outside once again. And so it is with us today. This soul work can be quite fearful and painful, and I naturally resist it. However, it’s only when I can welcome the “stranger within” that I can act an agent of mercy to the “stranger in the land.” This push-and-pull between my soul and the ego (The Spirit and my false self), is not discouraging for the Holy Spirit: rather, it creates a movement of dance that itself becomes a life span. Father, you created mankind out of the peace in your heart. weeping over the murdered body of her son.